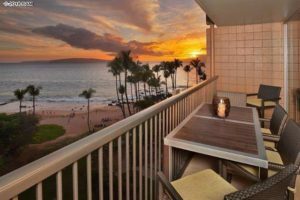 Brought to market just over 1 week ago, Mana Kai villa 714 is an amazing beachfront unit with spectacular ocean views towards Molokai, Makena, and Molokini. Having undergone a top to bottom remodel, this 7th floor unit is immaculately upgraded and looks exactly like a hotel room out of a magazine. 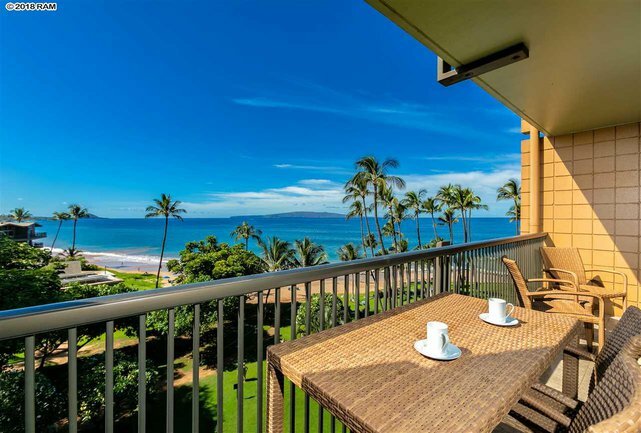 Owning a unit at the Mana Kai is an ultimate dream and offers pristine and coveted access to one of Maui’s longest and most revered stretches of white sand, Keawakapu Beach. 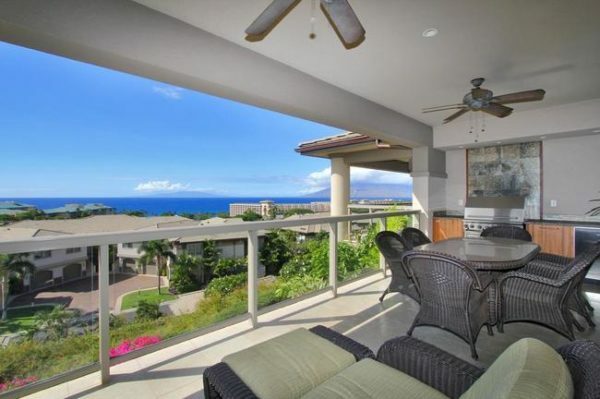 Mana Kai units only come in 1 floor plan: 2 bedrooms, 2 bathrooms, 767 sqft, and a 106 sqft lanai. 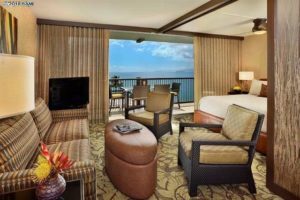 Towards the end of the day, gentle tradewinds will remind you that it’s time to relax and enjoy your favorite beverage on your private lanai, and take in another fabulous Maui sunset. Grounds include a large and recently upgraded pool pavilion area, a Yoga Center and Fitness room, new BBQ grills, and the iconic Five Palms Restaurant. Owners here have the ability to rent out their unit on a short term basis and can generate a substantial amount of passive income. The unit has been heavily booked throughout the years and comes with a strong rental history. Mana Kai market has experienced a strong year with just under $10 million in running sales volume which is excellent for this particular market considering price per sqft. can run around $1600-$2000. In addition to the steep the purchase prices, buyers have to cover monthly maintenance fees in excess of $1000. Only 2 of the units sold this year were able to find a buyer within 6 months of coming to market, while 4 others needed just under 9 months, and the remaining unit needed close to 1.5 years. In terms of sold prices, the lowest a buyer was able to get into the complex was around $1.2 million; on the upper end, 3 units were sold for $1.5 million. Two sales in the $1.3 million range and one in the $1.4 million price point round out the rest of the sales in 2018. For a deeper look into recent sales, check out our Mana Kai sold data. 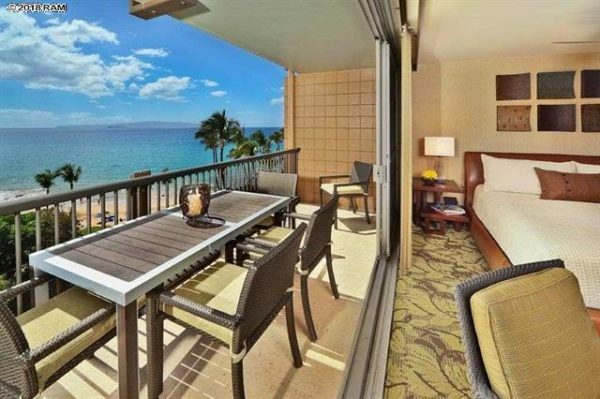 At this time in the year, there are only two Mana Kai Condos For Sale. While there is a slim amount of inventory now, the market can change in instant. Do expect more listings to come to market as we begin to enter the winter busy season and typically see an uptick in new listings. Stay up to date with our Mana Kai new listing email alerts.